Experts suggest that you look for a top-notch local roofing company whenever possible. Installing a new roof on your home is a costly project, and it’s smart to stick to roofing businesses that operate close to your home. Not only does local business care about providing high-quality service that will have you singing its praises to your friends and neighbors, but they’re also more likely to provide timely repairs covered by a warranty. Did you know that contractors who do any roofing work on a residence or business in Florida must have the appropriate license? The State of Florida oversees licensing. Any potential roofing contractor must meet rigorous education and experience standards along with passing a state-administered exam. Protect yourself by always asking to see proof that a roofing company has a license to work in Florida. When in doubt, check the licensing status of a specific contractor at www.myfloridalicense.com. 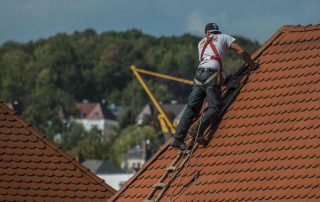 The Better Business Bureau also recommends that you request proof that a roofing company also (1) pays worker’s compensation, (2) holds liability insurance, and (3) has written warranties from any roofing supply manufacturers used by the roofer. Your social networks offer a vast amount of information regarding the roofing companies in your community. Your friends and family likely have experience with roofers in your area, and their opinions are valuable. Don’t forget to ask coworkers for recommendations. It’s also a smart idea to read online customer reviews for any company that you’re thinking about hiring for your roofing job. Take the time to read online reviews on sites such as Yelp and Angie’s List to see if there are any repeated complaints as well as praise for a specific business. It’s never fun when you need to search for “roofing companies near me” on your smartphone. However, your home is too valuable to hire a shady roofer to work on your roof. Even if you’re happy with the first roofing contractor that you interview, we suggest that you obtain at least three bids from local companies. Here are some of the essential questions to ask each roofing company. A top quality roofing contractor is happy to provide you with recommendations. Always request a list of references and make sure that you contact each person on the list. Don’t shy away from asking the references in-depth questions about their experience working with the roofing contractor. 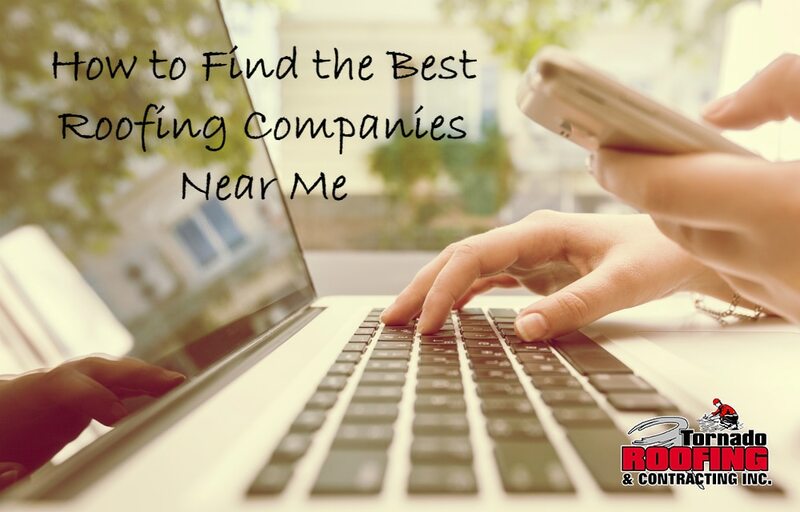 Remember that you’re gathering information so that you can make the best possible choice in a roofing company. Lastly, when you search for the best “roofing companies near me” it’s vital that you take the time to do your homework. Insist on evidence that any company that you’re considering is a highly regarded business. And that has extensive experience repairing and replacing roofs in your community. 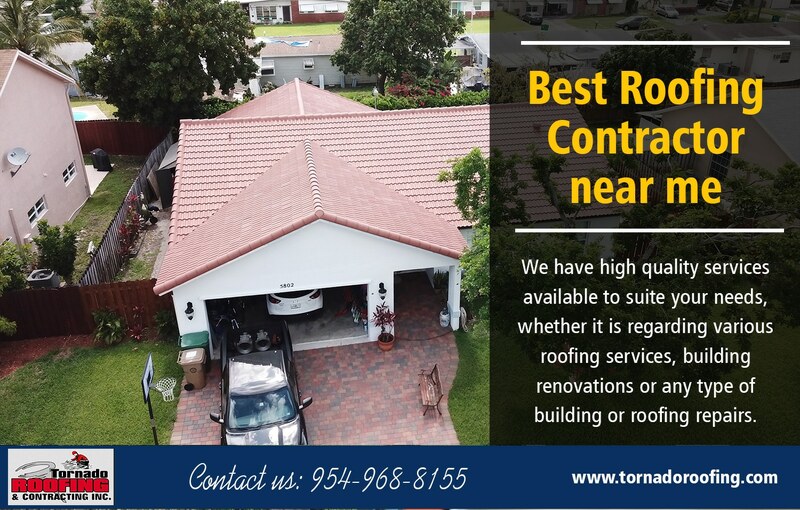 Contact us at Tornado Roofing & Contracting Inc. for top quality service and solutions to all of your roofing problems. 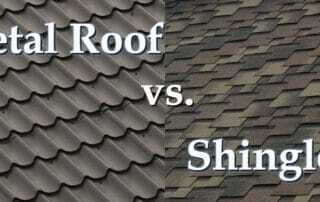 Metal Roof vs. Shingles: What’s The Best Roofing Material For Your House? 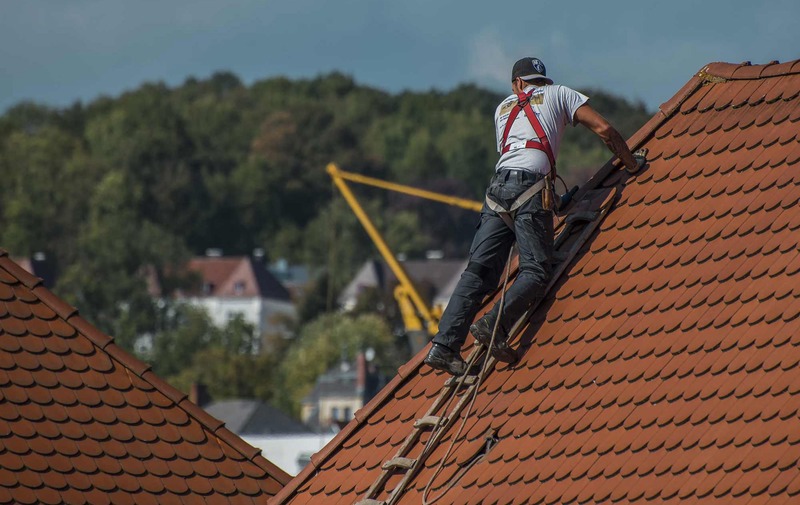 Have you finally decided to replace your failing roof but trying to decide on a new roof from the variety of roofing material options on the market today has you waking up in a nervous sweat at three in the morning? If so, you can relax and go back to sleep because we’re about to walk you through the pros and cons of a metal roof vs. shingles decision so that you can decide if one of these popular options fits your house and budget. You’ve invested money and heart into your home, and it’s vital that your new roof protects your house’s structure while also raising the curb appeal of your home. The key to making a wise roofing choice is taking into account how it improves your home in a budget-friendly manner. Take a look at the rooftops in your neighborhood the next time that you’re out for a relaxing stroll. What kinds of roofs do families in your area prefer? Chances are, you’ll see plenty of metal and asphalt shingle roofs sheltering the homes in your community. Here’s what you need to know about both types of materials. Once upon a time metal roofs were primarily limited to vacation homes. Today’s metal roofs cover all sorts of homes since there is an incredible amount of variety in the available metal roofing designs. Whether your taste runs to modern shining metal or an old wooden shingle, you can find a metal that fits your dreams. Lifespan- A metal roof might protect your home for as long as seventy years. Wind protection- Florida is hit with severe wind multiple times in a year, and a metal roof is your best bet when it comes to withstanding fierce winds. Water-proof- No need to worry about a leaky roof when you install a metal roof as a properly installed one is impervious to water. Fire-proof- Property insurance companies, such as State Farm, appreciate the fact that metal roofs won’t catch fire if an ember lands on the roof. Energy friendly- Unlike many roofing materials, metal roofs are recyclable and won’t end up in a crowded landfill someday. Also, you’ll likely see a decrease in your heating and cooling bills. There are some downsides to metal roofs to keep in mind when you begin shopping for a new roof. Buyers sometimes balk at (1) a higher initial price than asphalt shingles, (2) the sound that rain pounding against the metal creates, and (3) the potential for damage and rust if water pools on the roof for a while. Asphalt shingles are the far and away most popular choice when it comes to a roofing system. With a wide range of available colors and designs, homeowners all over Florida regularly invest in a shingle roof. Here are some pros and cons to this choice. Shingle roofing systems are an affordable choice that will last up to twenty years with proper maintenance. You can rely on an asphalt shingle roofing system for (1) lower cost to purchase and install, (2) a style and color that fits the style of your home, (3) relatively simple installation and maintenance,(4) waterproof and fireproof and (5) a look that blends beautifully with other homes in your community. Although asphalt shingles come with plenty of perks, no product is perfect, and shingles are no exception. A potential negative includes vulnerability to strong winds. In general, older shingle roof systems fail under the stress of severe wind at a higher rate than the newer asphalt shingles. We can help you to choose an asphalt shingle wind classification that fits your needs. Asphalt shingles don’t last nearly as long as the standard metal roofing system. Expect to replace the shingles every fifteen to twenty years. Of course, as you might not stay in your current home more than the average lifespan of the shingle the shorter time period might not matter. 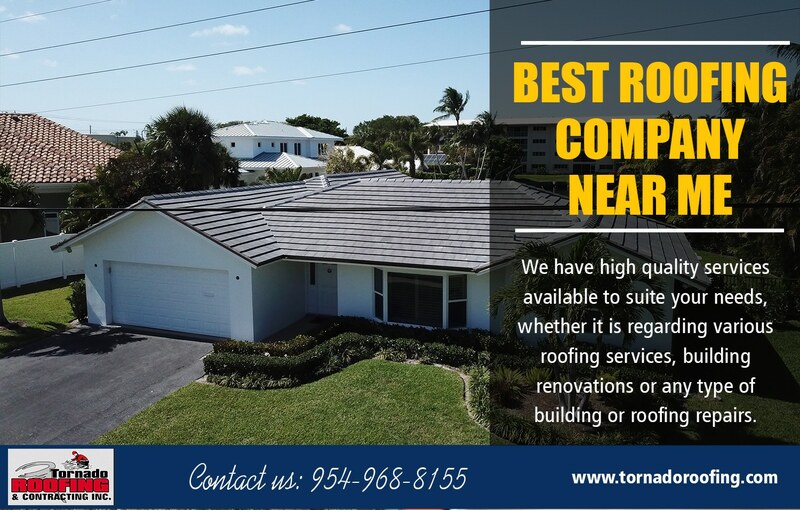 Lastly, when you look at the pros and cons regarding the metal roof vs. shingles question, the professionals at Tornado Roofing & Contracting Inc. have the experience and knowledge to help you choose the best option for your home. Contact us today for a new roof that will gracefully protect your home into the future. It’s never good for owners to look for a roofer when they’re desperate to get the job done. This will lead to hasty decisions. Instead, owners should be pro-active and make a decision to replace a roof long before the situation gets worse and more interior damage occurs. Owners should obtain referrals from friends who are satisfied with the work done on their homes. They should also do an occasional drive-by of a home where the roofer is currently working to get a feel for how thorough a job they’re likely to do. 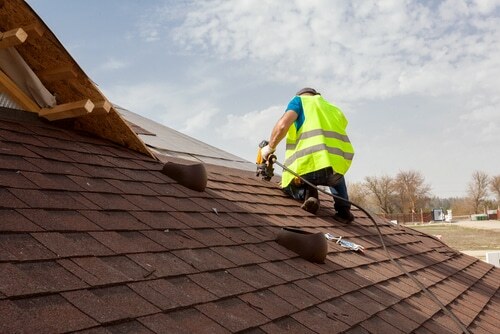 Get Three Written Estimates Owners should have three roofers come out to measure the roof, inspect the work to be done and provide an estimate of cost for labor and materials. The owner should compare those numbers and then make a decision that works best for them. Select a local Licensed and Insured Roofing Contractor. These are all guarantees that the roofer has been certified to do the job you’re about to hire them to do. Homeowners should hire expert roofers to work on their homes, because even the small damages may be much more serious than what initially appears. Roof care is very important to the upkeep of a home or facility. Here are some general tips to make sure your roof remains in good shape. After storms, Tornado Roofing & Contracting will check your attic for water stains. 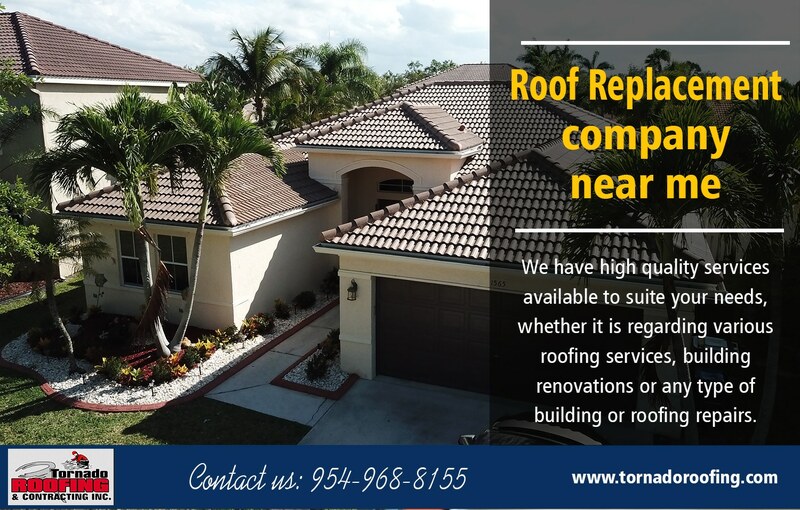 We can perform a visual roof inspection to check for existing damage and provide a no-cost quote for repair or replacement. We would walk the roof surface to photograph and document any areas of concern or potential future but preventable roof issues. We are also offering complimentary visual roof inspections on homes, buildings or facilities owned or managed. Experienced technicians certified to work on most types of roof systems, will arrive at your site with all of the necessary resources to immediately assess damage, provide temporary repairs, if necessary, then complete permanent repairs to quickly get your home, building or facility back in operation. Gutter repair services are available if required, as well as gutter replacement and cleaning. Never walk on your roof unless you have no other option.